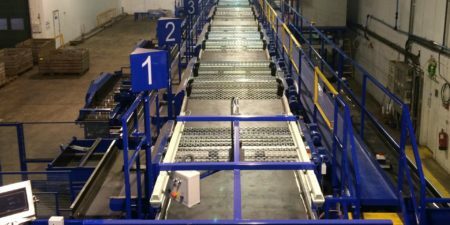 Visar Potato Optical Sorting & Grading – As seen on Daily Mail! This video shows the Visar Sortop optical sorting machine, sorting potatoes by size, weight and quality. Tong Engineering (UK distributor of the Visar) has been talking about the award-winning Visar potato sorting machine for some time now, making it no secret how impressive the capabilities of the Visar Optical Sorter are, but now one of the UK’s leading National newspapers, The Daily Mail, has published an article on the market’s leading optical sorter, claiming it to be ‘Strangely mesmerizing!’. Written by Rachael Burford for MailOnline, you can read the full Daily Mail article here. 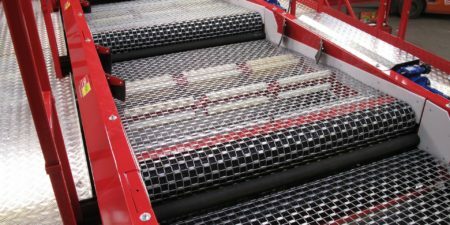 As the article’s editor suggests in her comment that the potato sorter works at ‘lightning speed’, the Visar Sortop is indeed very quick at determining the quality, weight and grade of each potato or carrot. 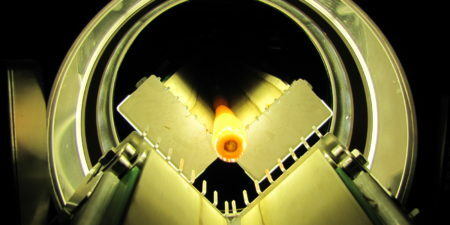 The 360 degree mirror system within the Visar’s optical camera system means that every carrot and potato is entirely analysed at an impressive rate of 12 to 15 carrots per second. And to allay any concerns over crop bruising or damage, Visar has placed gentle handling as top priority; each potato or carrot passing through the optical sorter is handled exceptionally gently with no drops. Soft-lined output areas ensure the highest quality crop with no damage or breakages.